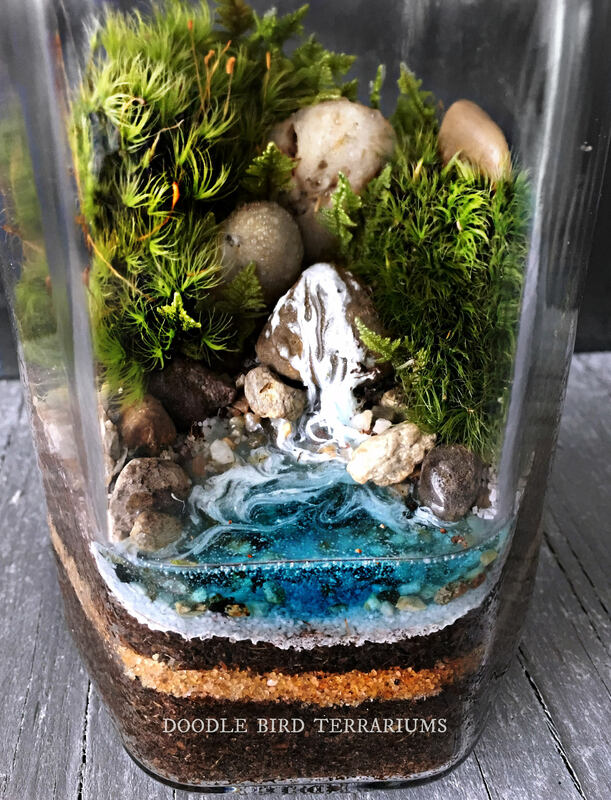 Hexagon shaped glass jar houses a miniature scene featuring a hard resin waterfall and live moss mountainsides. 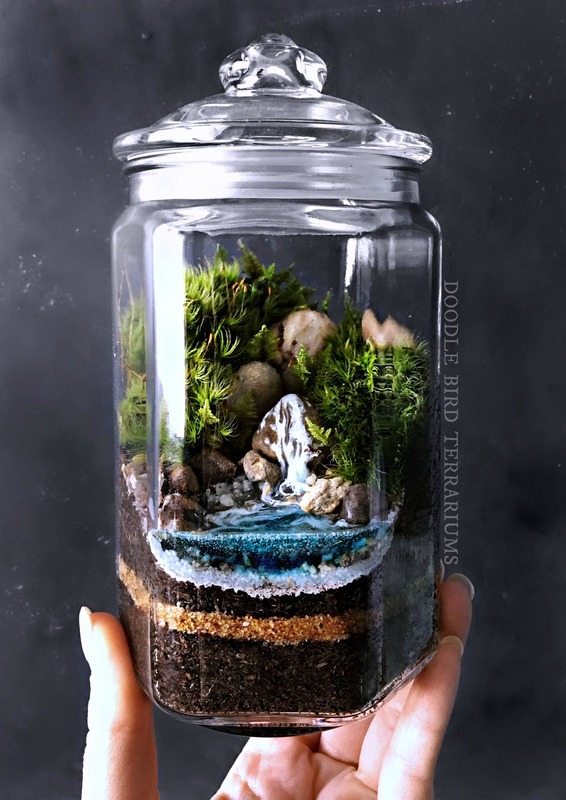 This terrarium is easy to care for; requires cool temperatures (not above 74 F) and indirect bright light. Each piece comes with complete care instructions and free mini spray bottle for easy watering.